There are times when people wonder if having teeth removed can ruin their faces. Those same people are not thinking about how their teeth can be repaired. Visiting an orthodontic specialist Southington has to offer will allow you to have your teeth repaired in a way that is helpful for you and your wallet. Team Demas Orthodontics provides services that reach everyone in your family, and you will have a chance to get the smile that you wanted for such a long time. Our services begin with your children, but they do not end when you become an adult. Please read through our list of services to find out how we can help you win back your smile. There are many kids who need to visit the orthodontist when they are very young. We know that there are many circumstances in which a child’s teeth will straighten out over time, but there are many more instances where children need to get braces as young as possible. Your children will begin on a program that helps them understand why they need braces. We start braces early so that your children will be able to get them taken off earlier. If a child needs to go through a second round of braces, we make sure to inform you well in advance of our treatment plan. The child will also be briefed with regular instructions from the orthodontist. The kids will know that they will need to wear a second set of braces, that they need to use a retainer, and that the process takes a couple of months or even years. We make sure that kids leave our offices with all the confidence in the world. They will be confident in the knowledge they have about their braces, and they will be confident in the knowledge that their braces will come off in a specified period of time. We pride ourselves on educating kids so that they do not feel afraid of the orthodontic process. Our adult services are not different from our services for children. We know that you may not have had the chance to fix your teeth in the past. We also know that it can be awkward to be the adult who has braces. We use a number of orthodontic services for adults so that you can fix your teeth without feeling embarrassed. We can use clear or ceramic braces in extreme where we believe you need to wear braces, but we have other options that are great for adults. We will examine you before we make a treatment recommendation, and the final decision regarding your treatment will be coming from you. We will point you in the right direction, but we want you to make your own choices when it comes to beginning the treatment. You may have wondered if having your teeth removed will ruin your face, but we can help solve your problems with your smile regardless of your age. You are not bound by your age when you visit us because we are the most advanced orthodontic specialist Southington has to offer. We use Invisalign products for many adults who do not want to go through the hassle and embarrassment of braces. We understand that some adults simply cannot fathom the idea of wearing braces, but we can create Invisalign molds that will help you get your teeth in shape. 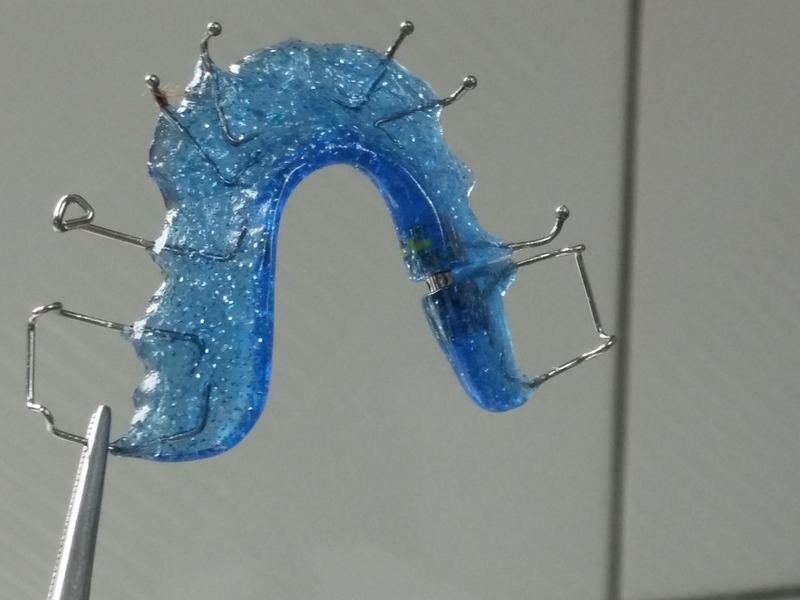 When we create your Invisalign molds, we will make sure that you are aware of how to use the product. Some molds are made to be worn during the day, but there are others that are only made to be worn at night. We will use a product that best suits your lifestyle, and we will schedule follow-up visits to make sure that the product is working. We offer Invisalign installation to help your teeth become straighter, and this is all part of the treatment process. When you stick with our program, we can create a great smile for you even though you are already grown up. At Team Demas Orthodontics, we want all our patients to be comfortable with their payment arrangements. We know that braces and orthodontic procedures can be expensive, but we want you to have every option at your disposal regarding your teeth. Whether you have brought in your child for treatment or had an appointment for yourself, we will make sure all insurance claims are filed immediately. When we are seeking payment for services rendered, we can work out payment arrangements that will help you afford the services. When you work with us in good faith to keep your teeth straight, we will work with you in good faith to keep the services affordable. Our commitment at Team Demas Orthodontics is to serve every child and adult as best as we possibly could. We know that we have the capacity to provide beautiful smiles for everyone who comes through our doors. These smiles can be created with the help of a number of orthodontic services that we are offering. Children can be fitted with braces during their treatment, and adults can be fitted with products that help them to straighten their teeth during adulthood. We know that the process of getting orthodontic treatment is not always pleasant, but we work very hard to make sure that you have a pleasant experience when you visit our offices. We are the only orthodontic specialist in Southington that can provide you with the services you need to keep your smile straight and wonderful. Contact us at Team Demas Orthodontics today for more information about your child or adult orthodontic needs. Our Southington office is eager to take your call.